Are you an apple or a pear? Older adults who carry their weight around their middle (in an apple shape) may have a higher risk for falls than people who carry their weight around their hips (in a pear shape), according to a study published online Feb. 9, 2018, by the American Journal of Preventive Medicine. An apple shape is known as central obesity. When researchers looked at the two-year fall histories of about 3,400 people ages 65 or older, it turned out that people with central obesity were 37% more likely to fall than people who didn't have central obesity. Scientists speculate that the increased risk was the result of a higher center of gravity for the people with central obesity. Also noteworthy: some people had a normal body mass index (a measure that takes into account both your height and weight), even though they also had central obesity (a big belly). The study was only observational and doesn't prove that central obesity causes falls. But we already know that a large waist is associated with a higher risk for developing heart disease, stroke, and diabetes. 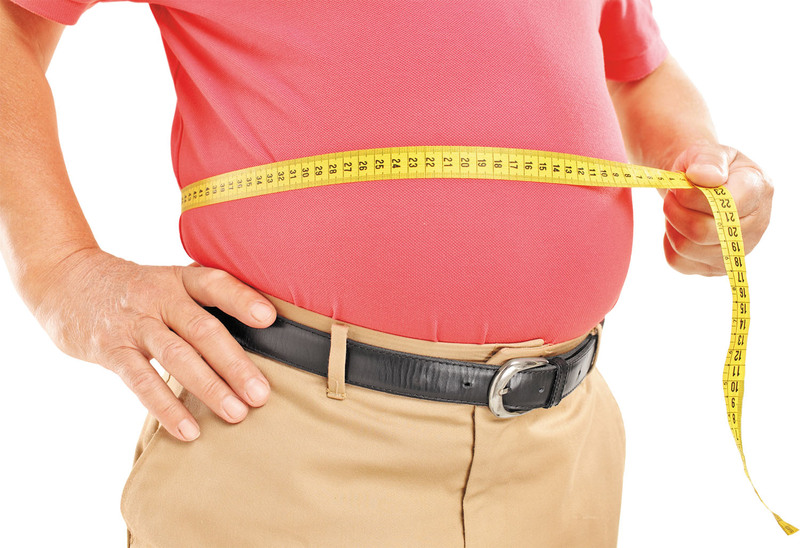 Men should aim for a waist circumference less than 40 inches, and women should aim for less than 35 inches.